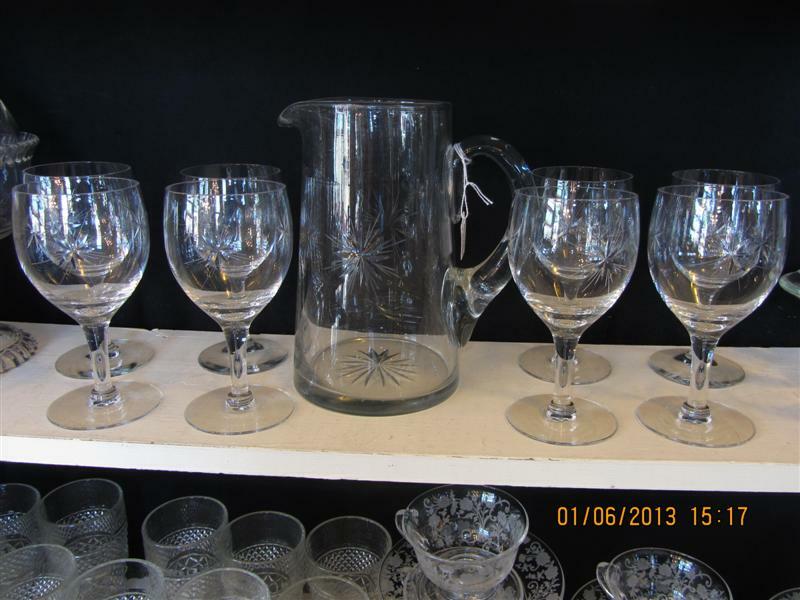 9 Pieces of Tiffin Glass with the Sunburst pattern cut on 3 sides. There are 8 Wine Glasses that stand 6″ tall and measures almost 3″ in diameter. Wonderful condition with no damage or cracks. The pitcher stands 8 1/4″ tall. There are no cracks or chips but some slight scratches. 1950’s retro style sunburst pattern is prevalent on all pieces. 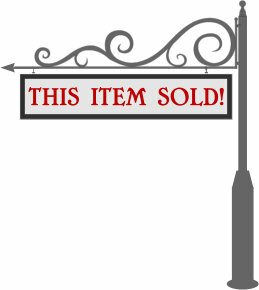 Priced at 75.00 usd. 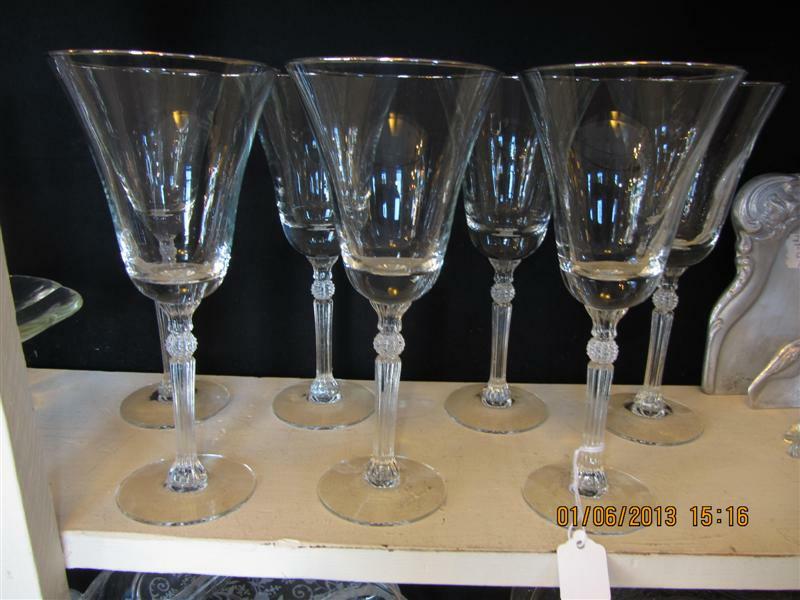 Wonderful set of seven wine glasses. These are all rimmed with a silver edge and have a stippled column on the base. They stand 8 1/2″ tall and measure almost 4″ in diameter at the top. They are all in great condition with no cracks or chips. The maker is unknown, but defiantly from c1940’s. These also hold very nicely in your hand (from one wine drinker to another!). Priced at 70.00 usd.